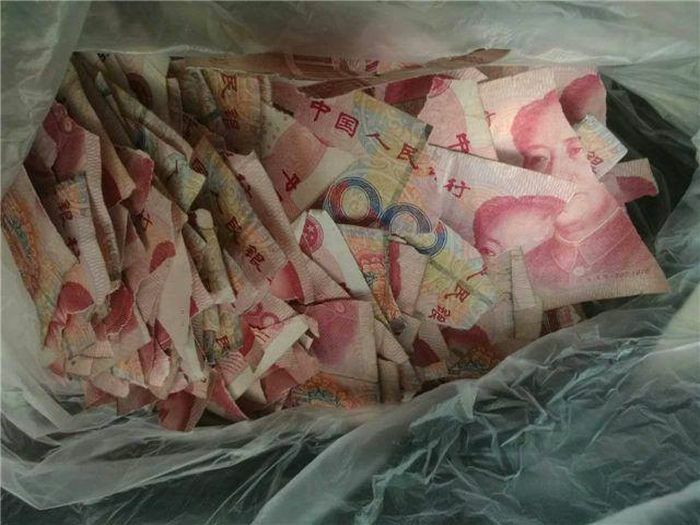 A little five year old Chinese in the city of Qingdao tore up 50,000 yuan ($7,300) which he found in a box then gave it to his father. 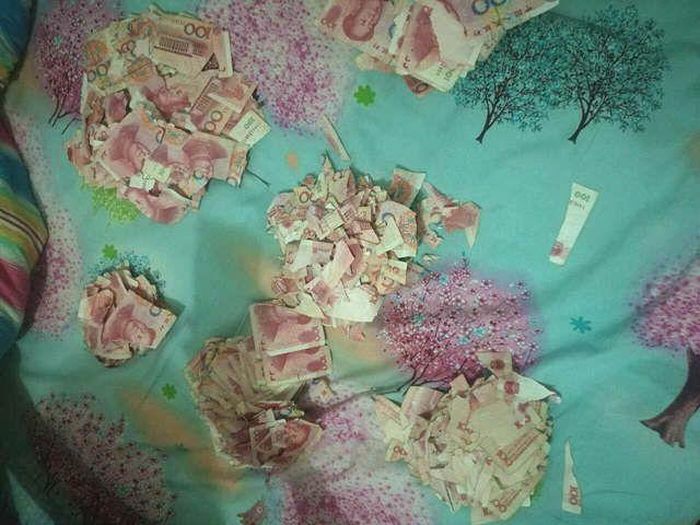 His father took the bills to the bank, and they told him only after he glues them together will he be able to trade them in for new bills. 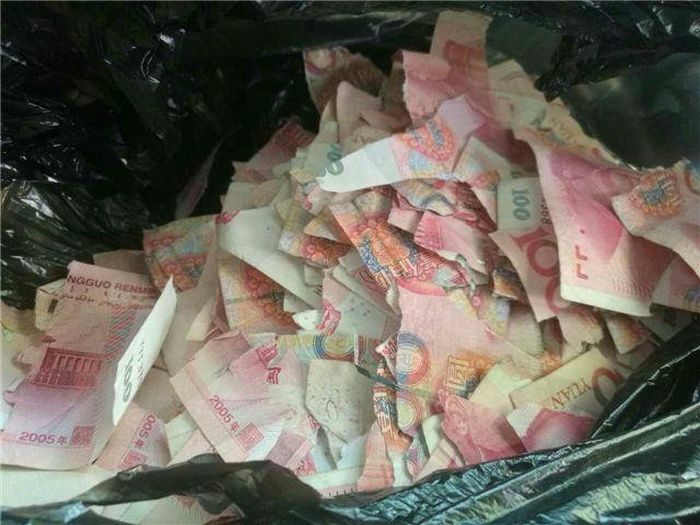 Unfortunately some of the bills were split up into as many as 10 to 12 pieces. Yep, that's one of the cons of having kids.